Everybody was impressed and excited with a spectacular and deeply moving theatre performance from the kids: Black Theatre technique, immersive use of the Greek Language and the Mezzanine of the Greek Centre was so packed with an eager audience there standing-room only. Many people flooded the mezzanine of the Greek Centre on Sunday 5 March 2017 to watch the play “The Little Prince” and applaud the students of the Creative Drama & Arts Centre (Alphington Campus), the Greek Community Melbourne. Anyone who knows this play can understand how difficult is to perform and memorize the text. The young actors, 3rd generation Greek children, used the Greek language so easily and everybody was amazed at how they managed to speak so well our language and successfully deliver the wise messages of the play. Congratulations to all the kids that took part and to Katerina Poutachidou for directing, organising and being the heart and soul of the Greek Community of Melbourne's Creative Drama & Arts Centre. 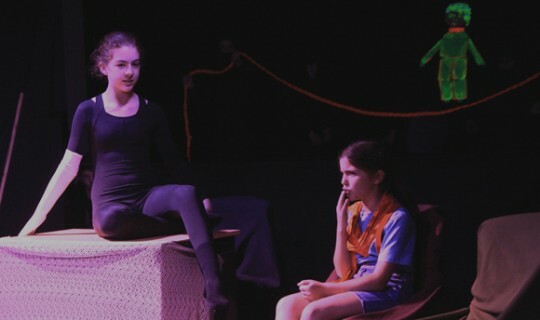 There're still places in the Drama classes for kids of all ages, so if you are interested please head to our website to sign-up.